Extremely limited run Jumbo with hand-selected tonewoods and a unique bracing pattern for increased volume and balance. 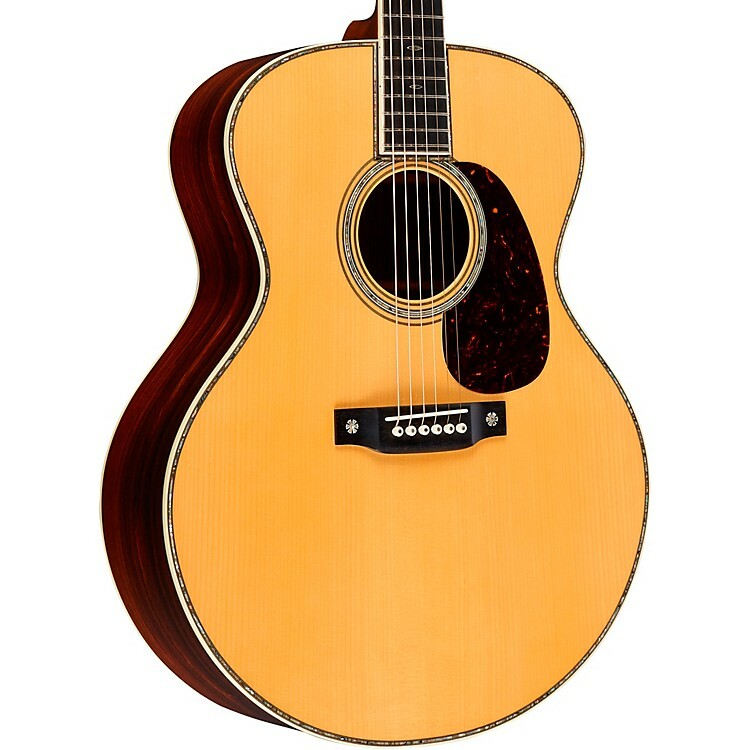 This Custom Cocobolo Grand Jumbo acoustic guitar is only offered in a limited run of three with hand-selected Adirondack spruce (top) and cocobolo (body) chosen by Martin's custom shop experts and a unique Adirondack scalloped bracing pattern with a cross brace. The use of these tonewoods and bracing pattern create the perfect balance and projection to come from its jumbo body. It's also been appointed with 42 Style pearl appointments, Waverly tuners, a deluxe neck block and snowflake inlays. A hardshell case is included. Only 3 made. Get yours before they are all gone. Order now.